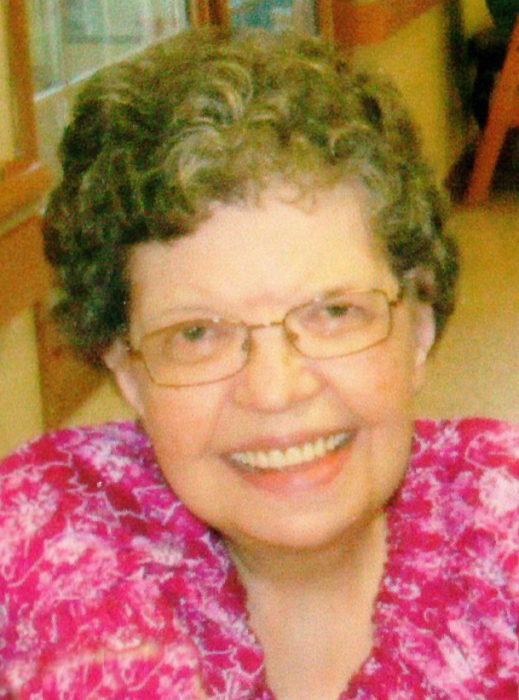 Roberta Ann “Bertie” Andrews, age 80, of Franklin, PA, formerly of East Hickory, PA, went to be with her Lord and Savior on Wednesday morning, January 23, 2019 at Sugar Creek Station in Franklin. She was born in West Hickory, PA on November 29, 1938, daughter of the late Albert G. “Jake” Andrews and Gertrude E. (Fry) Andrews Smith. Bertie graduated from Tionesta High School in the class of 1957. She was a member of West Hickory United Methodist Church in West Hickory, PA, and also attended East Grove United Methodist Church in Franklin. She was known for her crafts, especially her work with plastic canvas and knitting. She resided in East Hickory most of her life, where she enjoyed volunteering at the Endeavor Senior Center. She always had a smile on her face and always had time to play games with her nieces and nephews, whether it be a game of cooties, Scrabble, trucks, or Barbies. She is survived by her sister, Mary Jane Whiteman and her husband Glenn “Whitey” of Knox, PA. Her nieces: Dianne Grove and her companion Chuck of Oil City, PA, Donna M. Miller and her husband Keith of East Hickory, Jodi Weiczynski and her husband Chris of Baltimore, MD, and Sandi Laidlaw and her husband Ed of Union City, PA. Her nephew, Ken Horn and his wife Pam of Franklin, with whom Bertie resided until moving to Sugar Creek Station. Her great nieces and nephews: Stephanie Rodgers Bacher of Franklin, Jayme Horn of Harrisville, PA, Kenda Horn Thomas of Franklin, Melissa Irwin Oneil and her husband David of Franklin, Justin Grove of Florida, Becca Horn Turner of Franklin, Laura Irwin Bemis and her husband Billy of Fayetteville, NC, Hailey Whiteman, Alysea Wieczynski of Baltimore, and Luke, Andrew, and Cody Laidlaw of Union City. Her great great nieces and nephews: Mikkayla Dulaney, Ashley Norris, Zack Bacher, Kaylee Horn, Kris Bacher, Jayden Thomas, Evan Turner, Tessa Oneil, Logan Thomas, Liam Oneil, Danica Bemis, Charlie Bemis, and Elijah Oneil. Several step nieces and nephews. In addition to her parents, she was preceded in death by her stepfather, Paul Smith. Two brothers, Albert G. “Junior” Smith, Jr., and one in infancy. Her sister, Ethel M. Fauzey, with whom she resided for many years. Her niece, Debbie Kay Horn, with whom she also resided. Her nephew, Rod Whiteman. Friends will be received on Friday, January 25, 2019 from 6-8 P.M. at the Norman J. Wimer Funeral Home of Tionesta. Funeral services will be conducted on Saturday, January 26, 2019 at 11 A.M. at the funeral home with Lay Pastor Roger Snyder of Endeavor Presbyterian Church officiating. Burial will be in Tylersburg Cemetery, Tylersburg, PA. Memorial contributions may be made to Humanity Gifts Registry, P.O. Box 835, Philadelphia, PA 19105-0835.